The episode starts with mata adishakti’s form of durga narrating the story of garud dev to ganesh and kartikeya. Ganesh says but mother, how are all nag’s and shesh naag’s wife too under the control of mayasura’s maya? Mata says ganesh, garud dev had a grudge against the nag’s because he was an eagle and by character eagles hate snakes as snakes and cobras are their food. Garud dev could not bear to see his mother kadru mata provide for the hunger and food for innocent and hungry cobras, he was angry against the gods for not helping his mother and kadru mata had also been killed by a Nag so garud dev initially always had anger against the cobras and the gods. There mayasura reminds the same story to the nag’s and cobras and says brothers, I am a demon by birth but I have always been fond of nag’s and the injustice that you suffered has moved me a lot. Mayasura says nag’s all this happened because of devi adishakti, because her form is responsible for all living beings and she should have given you all a more respectable life but rather gods like garud dev have always targeted you all. Mayasura uses the power of his statue and as his statue makes him even more stronger, mayasura uses his maya and affects all nag’s in naglok. Shesh naag’s wife comes too as she is poisoned by mayasura’s maya. Mata durga tells ganesh. Garud dev thus fought with the gods as a conflict arose between the. The gods could not match garud dev’s power because he was very powerful. Garud dev wanted the amrit because he was a divya god and the god of eagles and their king. But as the gods could not match garud dev, lord Vishnu intervened in this conflict and he stopped them from fighting. Lod Vishnu resolved the matter and told indra dev to give amrit to garud dev who deserved it because he was born a god too. Indra dev agreed to give the amrut to garud dev who would then go and present it to kadru mata. Indra dev gave the amrit to garud dev and garud dev went to save kadru mata and give her amrit as well but she was killed by a nag, the nag who then turned into a demon. Garud dev was furious and sad, he mourned his mother and swore to kill the nag who had killed his mother. Garud dev drank the amrit and became immortal like the gods, then he was made lord vishnu’s vehicle. Lord Vishnu appeared and blessed garud dev that he would have his revenge and would get to kill the nag who killed his mother, garud dev was also blessed that he would be the flying bird vehicle of lord Vishnu. Garud dev did pranam and became the disciple of lord Vishnu henceforth. Here shesh naag comes to save his wife. ganesh appars and he saves all nag’s from the maya of mayasura. Mayasura screams in anger and he makes shesh naag’s wife fight shesh naag. Precap: Mayasura and lord of snakes, shesh naag fight. Ganesh and kartikeya help in fighting mayasura. 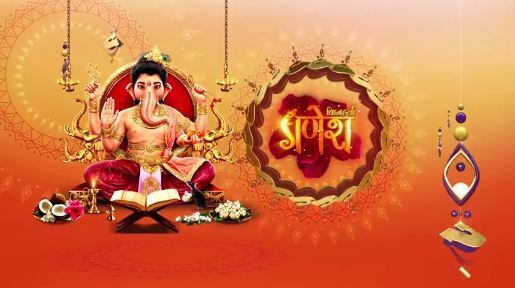 The post Vighnaharta Ganesh 6th March 2019 Written Episode Update: Garud dev fights the gods. appeared first on Telly Updates.